Recent allegations of negligent and harmful marketing of its antipsychotic drug Risperdal for off-label uses have plagued drug maker Johnson & Johnson and may set the stage for an onslaught of new lawsuits connected to the medication. Growing numbers of parents are speaking out about the damaging side effects Risperdal has had on their children and are seeking to hold the drug’s manufacturer responsible by initiating litigation. Central to many such claims are assertions that J & J’s aggressive promotion of so-called “off-label” or unapproved uses in young patients has resulted in serious injury to youngsters nationwide. An antipsychotic medication meant to block the brain’s serotonin and dopamine receptors, Risperdal (risperidone) was first developed as a treatment for schizophrenia and bipolar disorder in adults and teenagers. Approval for that specific application was granted by the United States Food and Drug Administration (FDA) in 1993. The drug has also been used as a treatment for ADHD, dementia, and to help reduce aggression and agitation in elderly patients with Alzheimer’s Disease. Soon after receiving FDA approval for use by patients with schizophrenia, researchers started exploring the drug’s potential effectiveness as a treatment for the more troubling symptoms of autism, such as self-injury, aggression and temper tantrums. A 2002 clinical trial of autistic children revealed a 57 percent success rate in reducing those manifestations while taking the drug, as contrasted with a 14 percent reduction in children who were given a placebo. Roughly 70 percent of the children who were given Risperdal continued to demonstrate symptom improvement after taking the drug for another six months. However, the FDA did not grant approval for the use of Risperdal to treat children of any age or condition until 2006 and had repeatedly warned J&J not to market the drug as being safe for broad classes of children. Despite the promise Risperdal has long shown for certain patient categories, since its introduction to the market it has also been the subject of substantial numbers of adverse event reports. 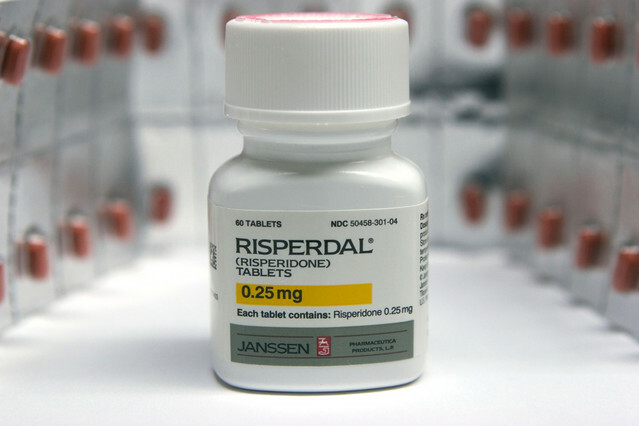 As a result, a significant amount of litigation ensued in which it was alleged that Johnson & Johnson along with its Janssen subsidiary had an awareness of the risks posed by Risperdal, but hid the dangers from the public and continued to promote its use for a wide range of conditions. In addition, it has been argued that the pharmaceutical giant aggressively marketed the drug for off-label uses such as giving it to elderly dementia sufferers in nursing homes to keep them sedate and docile, and giving it to children solely as a means to quell tantrums and unruly behavior. Of all the controversy surrounding Risperdal, the allegations relating to Johnson & Johnson’s marketing of the drug to children may be the most distressing. Increased diagnosis of conditions such as autism, ADHD, oppositional defiant disorder and bipolar disorder has led to explosive growth in the number of children taking antispsychotic drugs, including Risperdal. This is true even though many observers believe that most children do not require such drastic intervention. Though it has been shown that such medications do succeed in reducing and calming the aggressive and often dangerous behaviors exhibited by children with such conditions, widespread reports of life-altering side effects have caused alarm among parents and physicians alike. Critics of the use of antipsychotics such as Risperdal in children suggest that not only are these side effects extremely serious at the time they are experienced, the cumulative effect of the drugs may ultimately change the patients’ fat distribution or body shape permanently and cause metabolic problems that last a lifetime. Despite these concerns, the massive marketing forces brought to bear by Johnson & Johnson seem to have convinced large numbers of physicians to prescribe such medications to the children of parents frustrated by seemingly uncontrollable outbursts and behavioral issues. At one point, the company even distributed Lego-type blocks stamped with the brand name Risperdal to the waiting rooms of pediatricians’ offices. November of 2013 witnessed the announcement by the U.S. Department of Justice of a $2.2 billion Risperdal settlement reached with J & J. The agreement was intended to resolve claims by state and federal regulators and investigators that the drug maker illegally engaged in behavior that resulted in the filing of false claims to programs such as Medicaid. In addition, illegal marketing settlements have been reached between the drug maker and the states of Montana and Texas, totaling well over $160 million. The dangerous side effects of Risperdal are alarming, regardless of the category of patients involved. Harm resulting from the use of a drug prescribed by a trusted physician is devastating, whether the victim is 9 or 90. However, there is a particular brand of outrage and betrayal that results when a pharmaceutical giant makes profit a higher priority than the safety of young children and ultimately causes serious injury. Risperdal advertising aimed at those treating the most vulnerable among us has produced a dangerous spike in the drug’s use among children. The consequences of that trend can be extremely damaging, and parents across the country are finding that an experienced Risperdal lawyer can prove invaluable in their quest for accountability and justice. Unless and until greater care is taken when it comes to prescribing and marketing antipsychotics to youngsters, litigation over the dangers of the drugs, including product liability Risperdal lawsuits, is likely to continue.